On Monday 6th September 2010, 4 members of NARC met at the organised dig site, ready to support the organisers in their annual dig. The weather was cloudy, but very windy indeed. Headphones had to be turned up to hear those little signals. After a quick meeting with the organisers and the formal introductions made, we were off and running. First find of the 2010 dig, a 4th century Nummus, was made by our Honorary President Dave Derby. 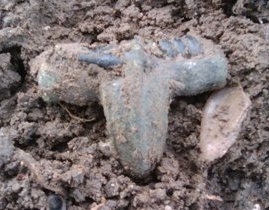 Within hours, he was also to recover this very interesting fibula brooch. By the end of the morning session we had recorded over 50 finds, with 20+ coins, 2 brooches, 1 belt buckle and various lead and metal objects. The belt buckle also proved to be interesting. 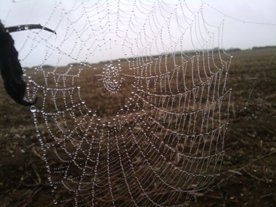 It was the 4th one to be found in the region, but the 1st one from this site. So, with another 3 days left of the dig, one wonders how much more will be found. Throughout the day, 3 members of NARC were on site. One of our members arrived on site at 1pm with his detector, spade and all the gear, only to realise that the detector control box was missing.... Yep he’d picked up the wrong detector! However the upside was that one of our other members needed to attend to other business and was happy to lend our colleague his equipment (a wireless XP DEUS detector) for the rest of the day. Immediate results followed with this fibula still with its spring intact. Other finds soon followed including 2 nummus and 1 possible As or Dupondus. A few bits of bronze and the usual Lead were in abundance. As the heavens opened around 3pm, it was clear that little more detecting would be possible that day, so with the total number of finds having climbed to over 100 for the two days; we withdrew to put the equipment on charge and prepare for the second half of the dig. As the morning mist cleared over the site, two of our detectorists worked the lower side of the field on a section that had, in previous years, yielded a fair selection of coinage. This time though, the finds were sparse so it was decided to head towards the main dig to see if any assistance was required in the trenches. A good decision as it happens, because a hot-spot of coin finds was stumbled upon and two hours later, another fifteen coins had been added to the finds list. Despite a few complications with member availability, NARC still managed to provide continuous coverage throughout the day with 3 team members on site. A total of 18 coins were recovered along with several lead pieces, a musket ball and other pieces of Bronze. The last day of the dig, and with a little diary shuffling; we managed to maintain the presence with two NARC members attending site. The finds still kept coming. It was a lovely sunny morning and slow searching extracted 11 coins, a small fibula and several more bits of lead in the morning session. The afternoon session, was also profitable, despite the heavy showers. The 200th find was a beautiful brooch fragment, with decoration and coinage still continued to come up. At the very end of the day, it can be revealed that well over 240 artefacts had been recorded over the 4 days. Approximately 70 coins, 4 fibulae, 1 possible buckle, plus numerous bits of bronze and lead. The total amount of coinage combined with the previous years, reached a useful assemblage number of 300 easily identifiable coins. NARC members were thanked for their efforts and their onsite presence throughout the dig was noted and acknowledged as being a very welcome and professional one. We would like to thank CLASP and Harpole Heritage Group for their invitation to work on the project. 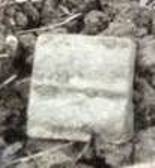 We are sure that there will be much more exciting information emerging from the detailed finds analysis in the future.